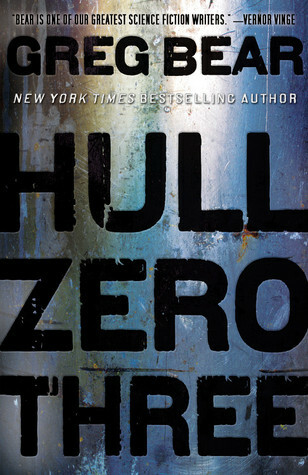 Sign into Goodreads to see if any of your friends have read Hull Zero Three. Curious about this one. Will be interested to see what your thoughts are, as I might pick it up later in the week. incidentally this book is free to download as an ebook at starbucks right now. I remember now getting an email from orbit about that but completely forgot since at the time I thought I won;t be interested; thanks for reminding me!! I really look forward to reading this one as I really loved "The City at the End of Time", a misunderstood and underrated hard sci-fi by Bear. I will give a try to that one with much more patience than last year, that's for sure.